The story of public transport in West Devon in the early twentieth century. 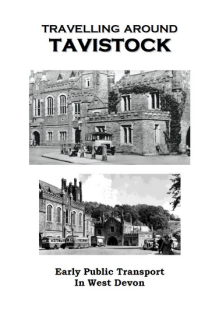 Although based on our booklet “Between the Tamar and the Tavy”, published many years ago, this is a greatly expanded publication that also embraces Bere Alston, Princetown, Yelverton etc (including the story of Sleeps and Digony Trathen – whose surname was to become famous). 62 pages, incl. 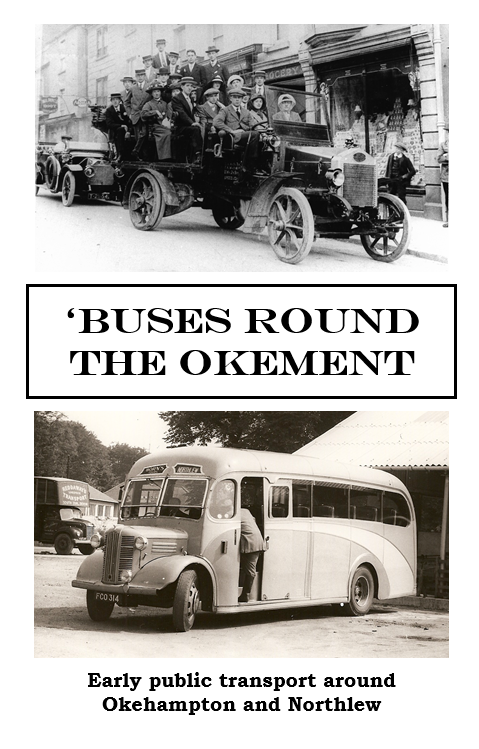 photos, adverts, time tables, &c.
A unique survey of the early days of motor transport at a moment in time with pen pictures of over 300 operators, plus details of nearly 600 motor vehicles (of 60 different makes), 177 trams and 187 motor and tram services. 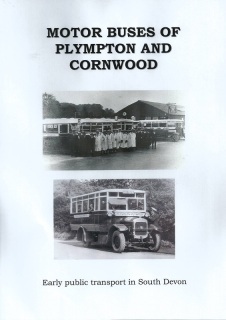 74 pages, including photos, maps, &c.
Who ran Berliet ‘buses to Newton Abbot and Torquay? Which south Devon coach operator started life as Gastano Scappaticci? 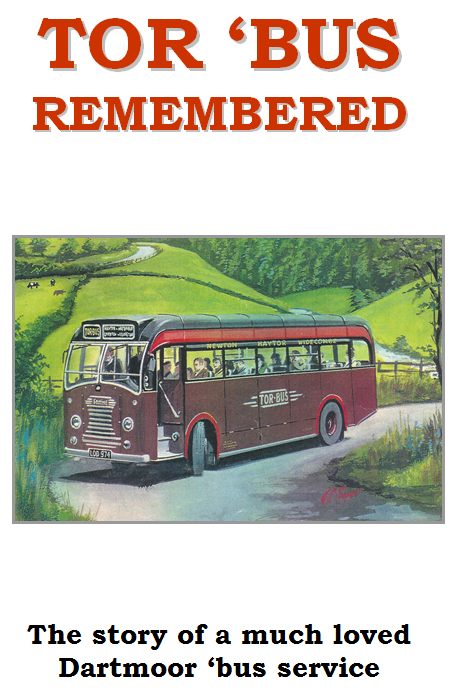 Which South Brent operator ran a former Grey Cars AEC Regal? 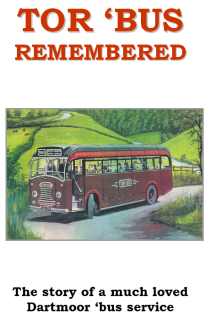 Originally published as Motor ‘Buses of Ashburton, Buckfastleigh and Holne in the 1990’s, it has now been re-written to include new information and extended to include Rattery and South Brent.38 pages A4. 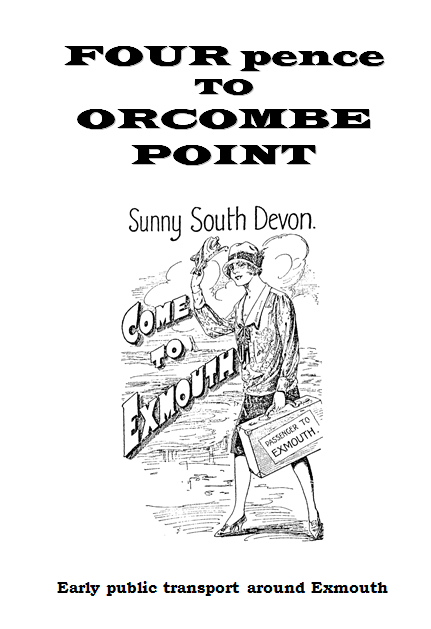 The story of early public transport around Exmouth is a tragedy of several parts. But not all was doom and gloom. 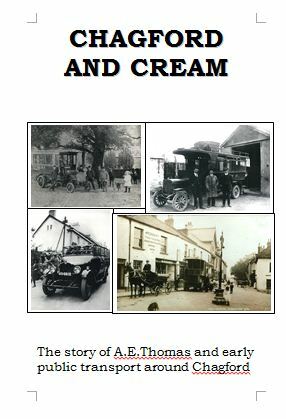 Read about the development of Arcadia, Blue ‘Bus Service, Enterprise, Harris’s, Millers, Payns, Burbury’s Royal Blue and others. 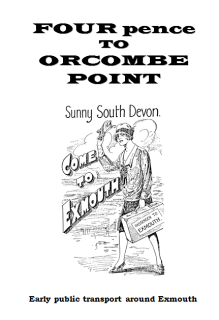 Motor Trams and Toast-racks along the sea front and passengers like Mrs Push-Shovey. 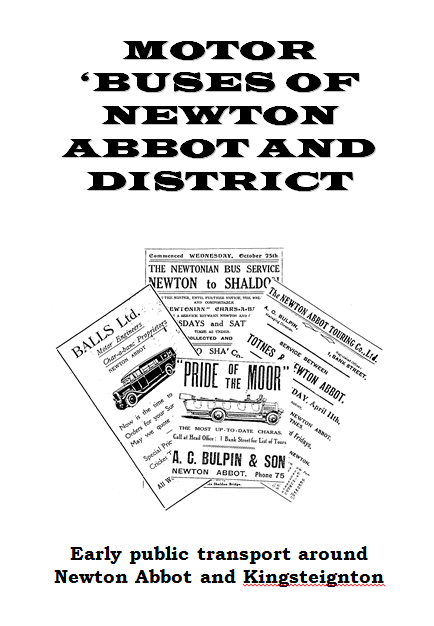 First published in the 1990’s, now in a revised edition, we tell the story from the steam ‘buses of 1911 through the 1920’s when competition led to a fare of 1d (one old penny) between Newton Abbot and Kingsteignton. 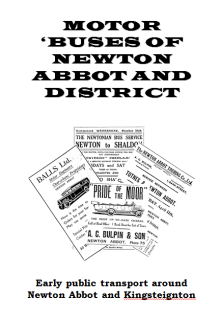 Includes the little Blue ‘Bus, Newtonian, Pride of the Moor, Speedwell and others. Second (revised) edition. 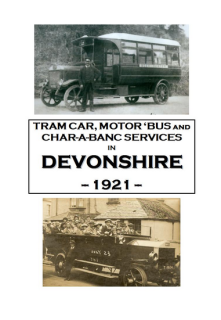 The story of a pioneer Devon country ‘bus proprietor, Norman Ashton of Halwill, as recalled through his staff, passengers and contemporary accounts. 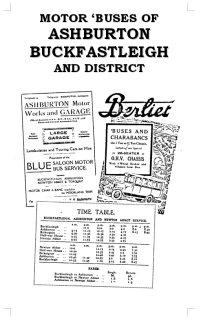 Now includes details and fleet lists for two other local operators in the 1920’s. 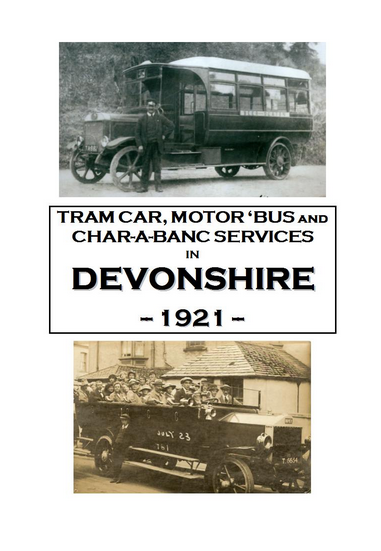 Motor ‘bus and tramway services in Devon in the period just before the introduction of licencing under the Road Traffic Act, 1930. 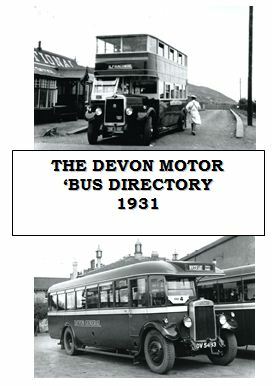 Includes all routes operated by Devon General, Western & Southern National, the Corporations of Exeter and Plymouth and the many independent operators, also fleet lists for all the above except Western & Southern National. 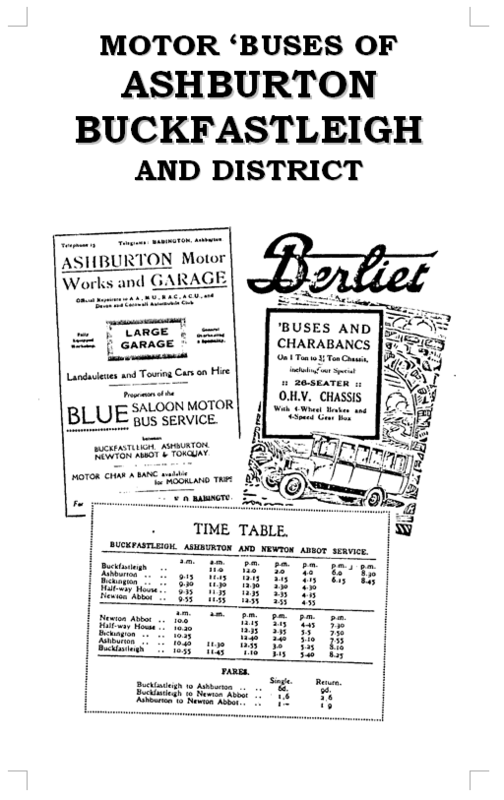 64 pages, some 50 pictures of vehicles in service in 1931, maps, etc. The story of A.E. 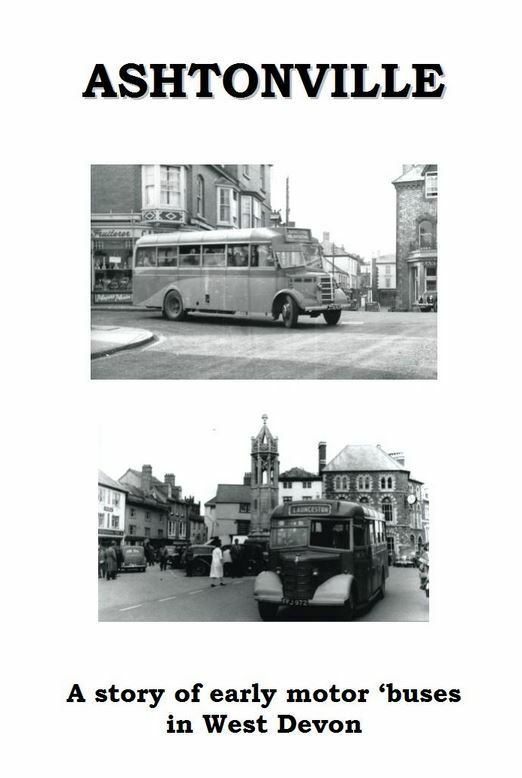 Thomas who moved from Witheridge to Chagford to take over a motor ‘bus and coach business, also other operators in that area including the London & South Western and Great Western Railways. 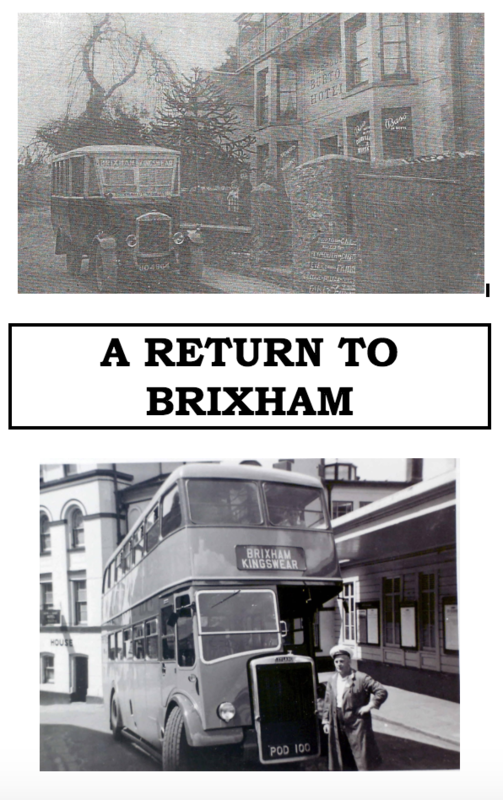 After the Second World War Mr Thomas bought a coach firm in Torquay and we tell the story of his time in that resort. 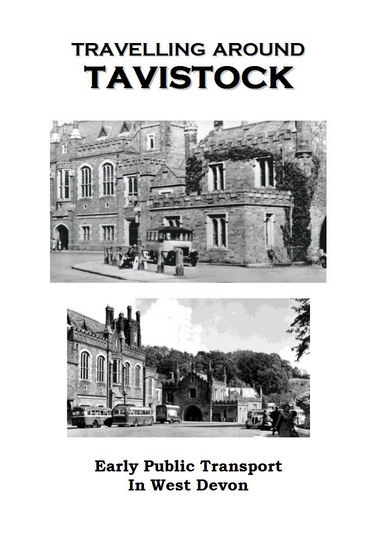 46 pages, 21 picture, maps, timetables, etc. 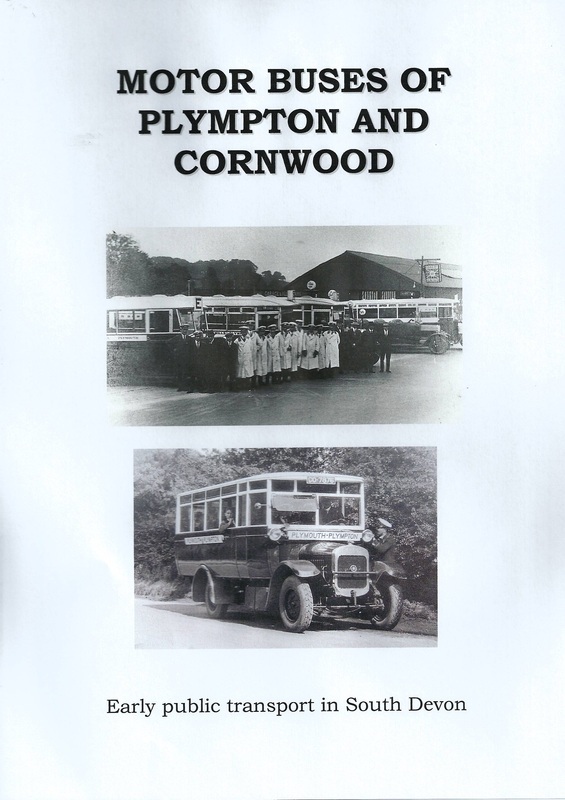 The latest publication about the history of public transport in the Plympton and Cornwood areas.